Der Forvert New Louis ist das Update des beliebten Louis-Rucksacks. Das extrem funktionale Teil kommt in zahlreichen Colourways und kann mit diversen Fächern, Boardstrap und zusätzlichen Gummi-Strings zur Fixierung des Boards oder anderer Kleinigkeiten nicht nur technisch jede Menge Features vorweisen, sondern auch in puncto Preis-Leistungs-Verhältnis verdammt viel bieten. Ein Blick auf die lange Feature-Liste zeigt, dass sich die Forvert-Designer wirklich Gedanken um den perfekten Rucksack gemacht haben. A really nice backpack that's already served me well. Whether for school, going to practice or travelling. You can stow a lot with all the compartments. The material is great and the color is nice. Perfect bag to take your board with you everywhere. Also offers plenty of storage space for everything! This backpack looks really cool!!! I already received it after one day (Germany) and I'm completely satisfied :D The purchase was definitely worth it. A lot fits in the backpack without the backpack looking chunky, plus it looks super cool! This backpack is mega durable and tough. The amount of storage space is just right and it's super comfortable to wear. Great product, it simply has a different type of design/fit than most other backpacks. Durable and just the right size. This backpack is perfect. It has many pockets and a very large storage space. It also sits very nice on your back. I would buy it again! Super backpack, I highly recommend!!!! The service of Titus is very good, very fast processing and shipping!!!! I ordered this backpack from Titus and the delivery came the next day and was in a great condition! (Germany). 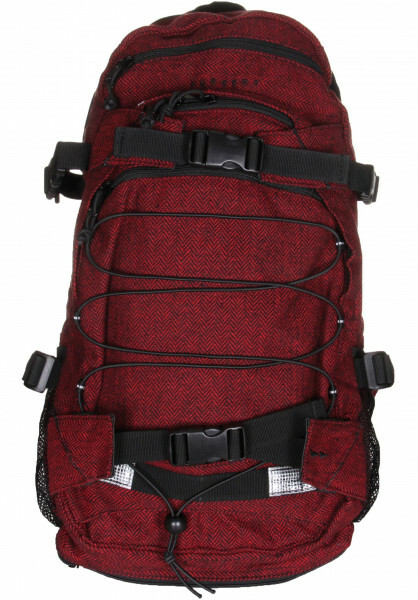 Really cool pack, the backpack has many different compartments and is very spacious. I took it on a one-week trip and everything I needed fit. The colour/pattern looks just like the photos. I am absolutely satisfied with the purchase. I use this backpack for school. It's comfortable to wear, very spacious and not too bulky. The backpack is well made and the colour is just like the photo. Fast shipping and handling! The included DHL tracking told us exactly when the package would arrive. The New Louis is my absolute favorite new backpack! I had the striped backpack in pink and now bought again in black. Great for school and if I go away for a weekend. Beautiful color, good quality and just the right size. Will make a great Christmas present! Perfect backpack for school and travel!